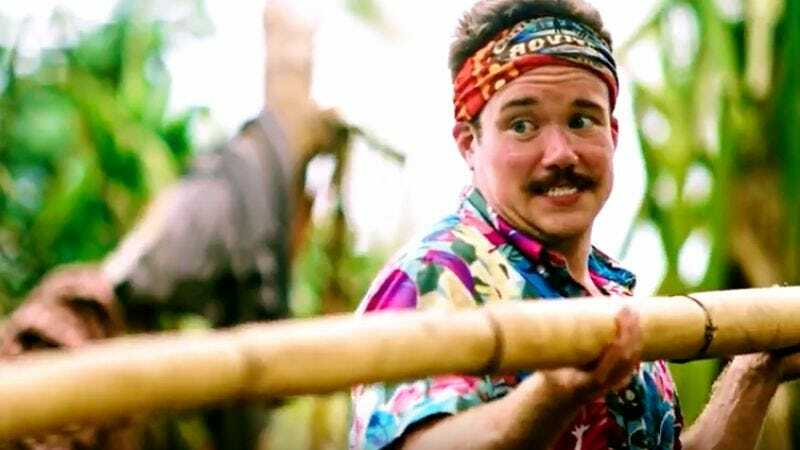 Even since before the dramatic finale of its first season, Survivor has been a show about heroes and villains—or at least people you root for and people you wouldn’t give water to if they were dying from thirst (plus one season was literally called Heroes Vs. Villains). For its next season, though, Survivor has come up with an interesting twist on that: What if everyone was awful? What if you wouldn’t give water to anybody on the show? Wouldn’t that be fun? Alright, that might not be the official premise for season 33 of Survivor, but it might as well be. It’s actually Survivor: Millennials Vs. Gen-X, with (relatively) young people taking on (relatively) old people in a battle to see who will be a worse representation of their age bracket. It seems like it should be easy to cheer for “your side,” assuming you’re not too young to be a millennial or too old to be a Gen-Xer, but everyone in the trailer that CBS released is just a walking stereotype of their generation. The Gen-Xers think millennials rely on technology too much! The millennials think the Gen-Xers are out of touch! The Gen-Xers think millennials want everything handed to them! The millennials think the Gen-Xers only care about getting jobs! One millennial even calls Twitter “the worst thing ever invented” just before admitting that he uses it, and he’s there alongside a Gen-Xer who accuses millennials of taking advantage of the world that Generation X built as if the whole slacker movement was really about getting things done. CBS hasn’t announced a premiere date for Survivor: Millennials Vs. Gen-X, but you can see the trailer for it below.